‘Eco-friendly’ this, ‘green living’ that, ‘carbon footprint’ the other. There is a near-overwhelming amount of environment-related discourse in today’s culture, and it’s easy to become confused between fact and opinion. Marketers love to promote products as good for the environment, but more often than not they use terms which are not even regulated with little accountability. For example, you go to the supermarket looking for something organic and see clearly non-organic products labeled as such. A quick check of the ingredients tells you that it’s something that has been concocted in a laboratory, and yet there is the word ‘organic’ on the front in big, bold letters. The thing you must remember when you see such items is to remember that oftentimes companies don’t get penalized for making certain health claims because there is no uniform expectation of what the word truly means through all the different voices in the industry. Another word like this is ‘natural’. If you see ‘natural’ on a food or beauty item, be immediately aware that it is probably not. A good clue to give you further confident that the product is not what it claims is when you see the word ‘refined’. For example, you spot a tub of coconut oil that claims to be 100% organic and then in tiny letters has the word ‘refined’. Refined essentially means it was modified: usually chemically. At the very least, it is diluted with something else, so you’re getting a really washed-down version of the product. At the very worse, you’re getting other things added in: things which completely impair the quality of the product. So, consumers beware, and start to become obsessed with food labels (the small print, not the marketing on the front) so that you’ll make better purchases and get the best for your buck. That being said, there are ways to tell eco-friendly products from the others. In all instances, the overall quality of a product can only be determined by a seal or logo from an objective organization that has carried out quality tests and deemed it worthy of passing such a test. Energy Star is a blue and white logo that is given by an organization of the same name. It is a voluntary program that is actually an offshoot of the Environmental Protection Agency (EPA). You’re not going to see energy star on an eco-friendly clothes item. 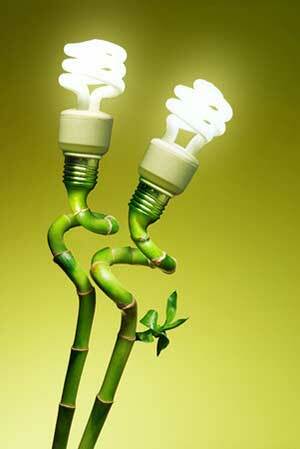 It’s only for products which use energy, such as electrical appliances. As such, you know that the product you’re buying is energy efficient if it has the energy star logo on it. Despite the fact that many companies can display the word organic on their packaging without getting penalized by the USDA if they follow the (too loose) guidelines, a USDA organic seal means that it certified as organic. Companies which haven’t certified their product can’t place the word on the principle display panel, but they get around this by placing it just at the edge of it in big, bold letters. Only products certified as organic can display the seal, so make sure you’re not fooled by false advertizing and keep an eye out for the USDA organic seal instead. Green seal uses scientific research to determine whether a product is green or not. If it meets their requirements, it can proudly display the seal on its labelling. Eco-friendly doesn’t just mean a product is good for the environment. It also means it’s good for you and your family. The importance of eco-friendly products is much more than just making sure more trees are grown, or your carbon footprint emission is reduced. It also means that when you buy products that you and your family will use, you will be confident that it is safe and non-toxic. 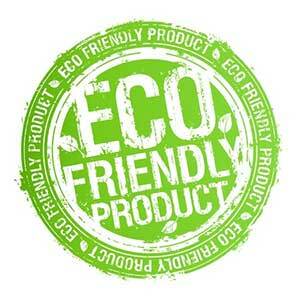 Eco-friendly products aren’t just a fad or the result of parents worrying over nothing. There have been true, real-life instances of kids and animals dying from the toxic leaching of chemicals into their body. One particularly tragic case is the 2008 Chinese milk scandal. Oh, this was just terrible. Over 6200 babies got sick and at least three actually died from the infant formula they drank. It’s terrible to think that a company would do this to babies just to boost profit margins. You must be very careful what you buy and because there are always ways of getting around federal regulations with regards to food labelling, no one truly knows what’s in the food we buy. It’s best to eat raw meat and produce as much as possible. Moreover, if you’re a new mother, you might want to opt for breastfeeding instead of feeding a baby formula. The 2008 scandal happened in China, but who’s to say American formula manufacturers have more integrity? Better safe than sorry. Traditional lunchboxes and storage containers contain melamine, the very substance that caused such a catastrophe in China. Now, the American government will tell you that it’s perfectly safe to use these lunchboxes because the levels aren’t high enough to do any damage. However, it is difficult to trust government guidelines when they are constantly being updated. It is always in the aftermath of an emergency that the FDA will suddenly warn you of the dangers of a particular substance. As parents, you want to reduce the risk of your loved one getting ill as much as you possibly can. Luckily, there are alternatives to traditional lunch boxes that don’t leach and will ensure the safety of your entire family. Whether you’re making a packed lunch or storing leftovers, you can rest assured that you won’t be eating toxic chemicals along with your food.